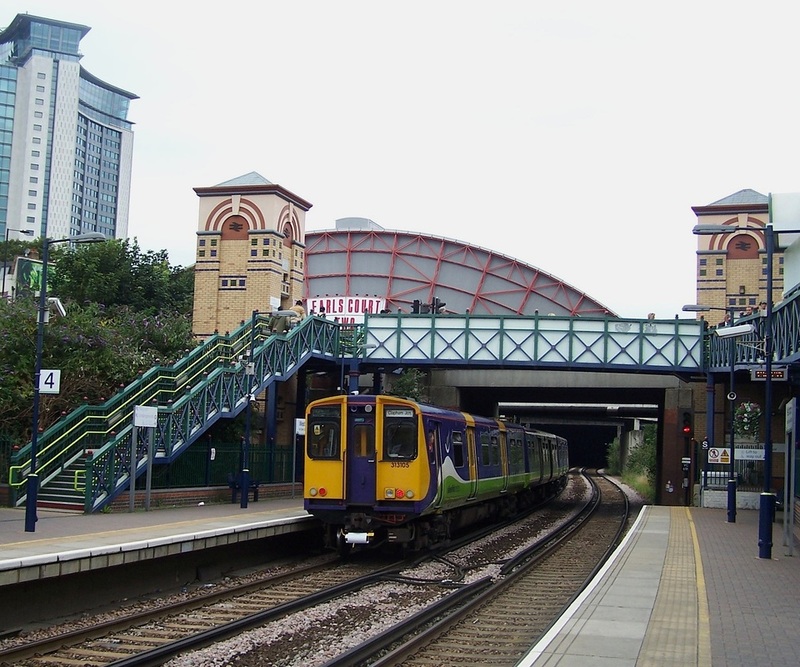 which now run over this route, prior to the creation of the 'LONDON OVERGROUND' Network. Class 313/1 No. 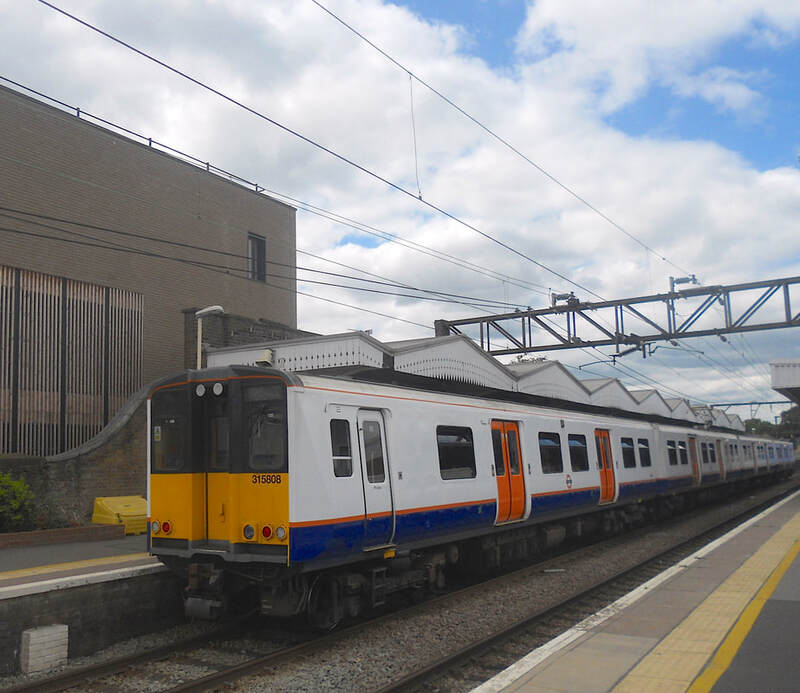 313107 at the now closed North Woolwich Station. (c) Peter Skuce. Class 508/3 No. 508303 and Class 313/1 No. 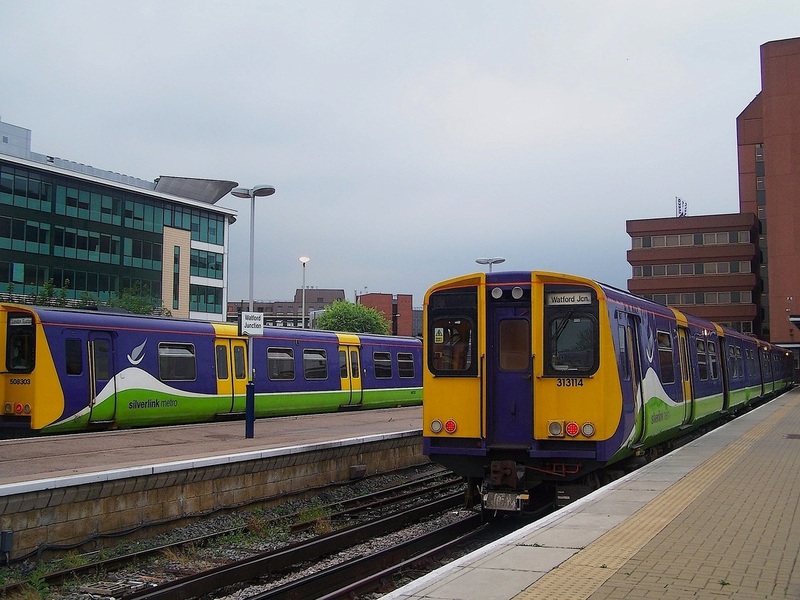 313114 at Watford Junction. (c) Peter Skuce. Class 313/1 No. 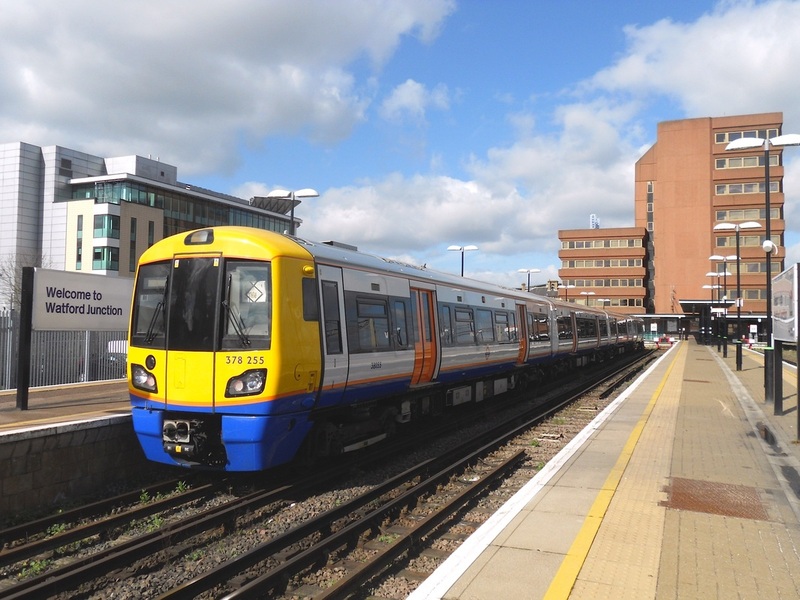 313105 at West Brompton. (c) Peter Skuce. Class 313/1 No. 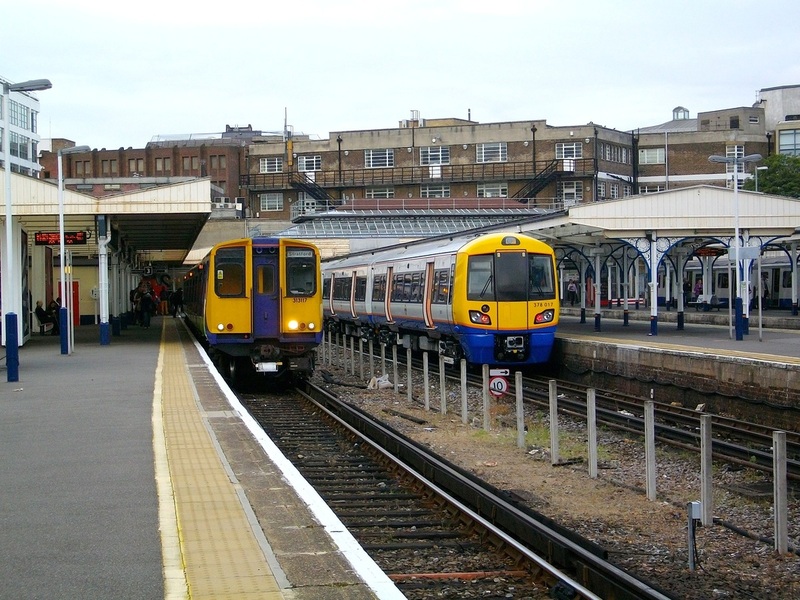 313107 and brand new Class 378/0 378017 at Richmond. (c) Peter Skuce. Brand new Class 378/0 No. 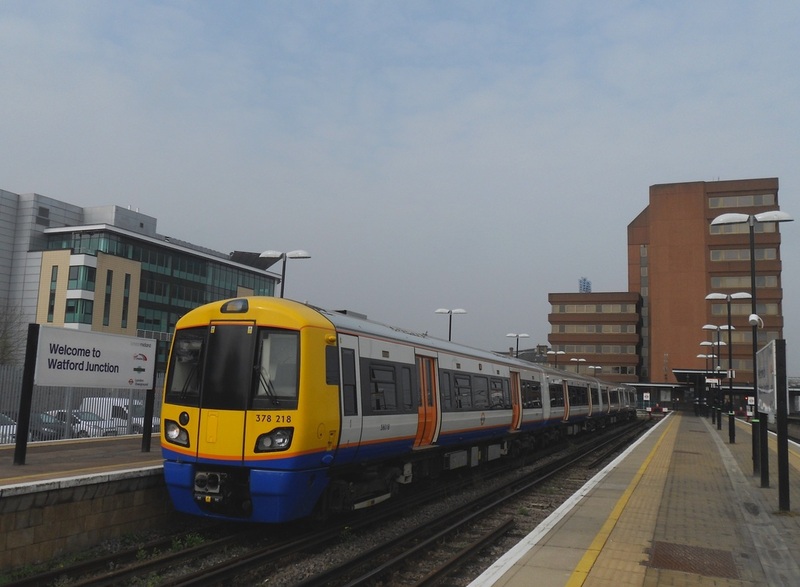 378017 at Richmond. (c) Peter Skuce. Class 378/2 No. 378217 at Watford Junction. (c) Peter Skuce. Class 378/2 No. 378255 at Watford Junction. (c) Peter Skuce. Class 378 No. 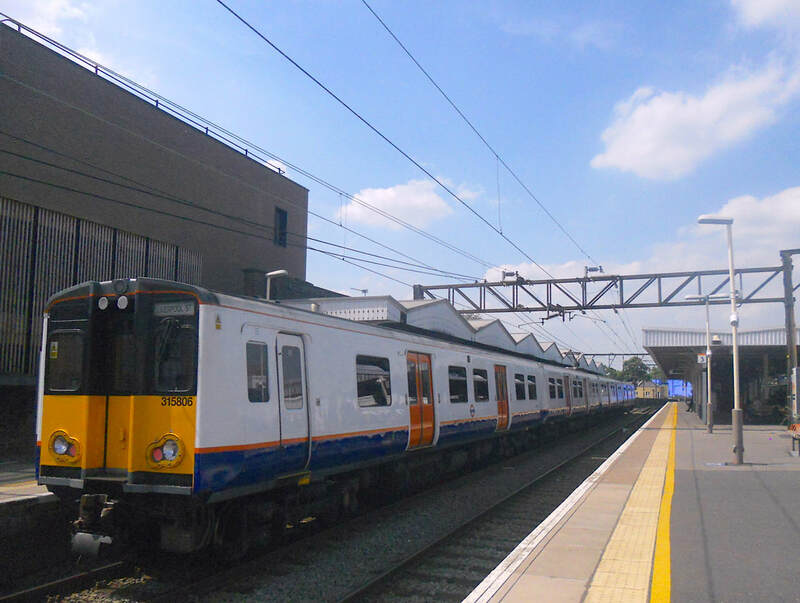 378218 at Watford Junction. (c) Peter Skuce. 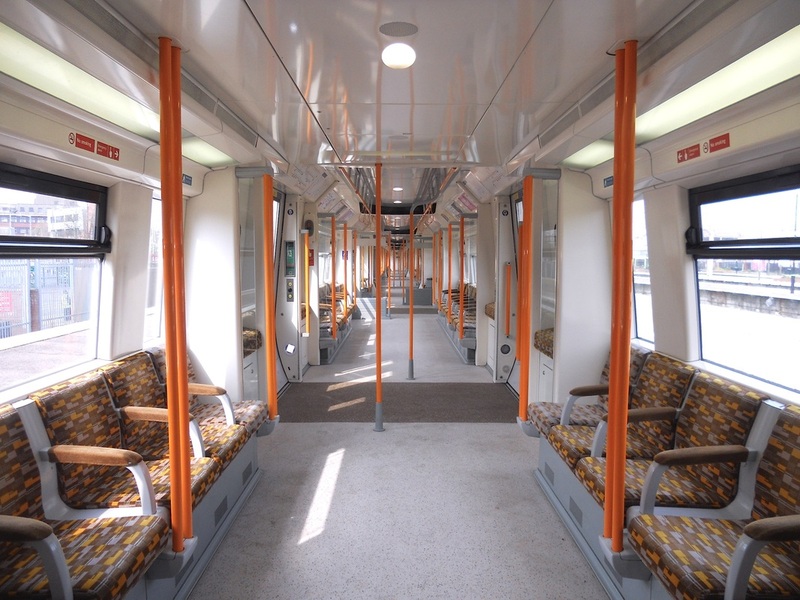 The interior of the Bombardier Class 378 Capitalstar. (c) Peter Skuce. Looking through half the train. (c) Peter Skuce. 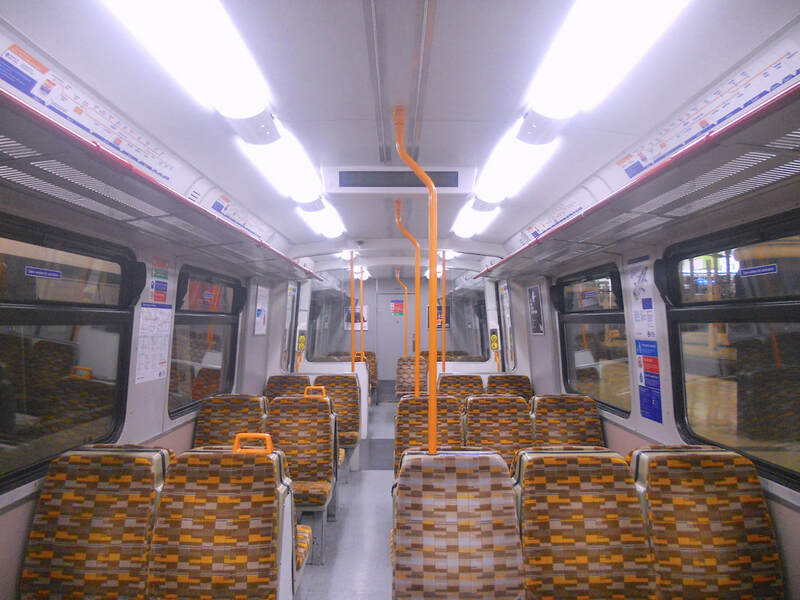 The interior of the DMSO vehicle. (c) Peter Skuce. A half internal view of the DMSO vehicle. (c) Peter Skuce. 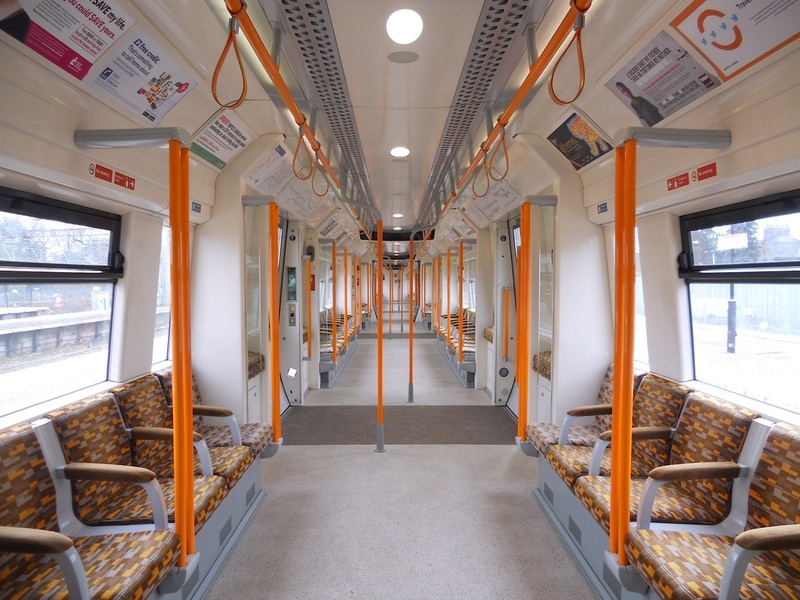 London Overground now have seventeen (17) Class 315 Metro EMU trains in the range 315801 - 315817. Class 315 No. 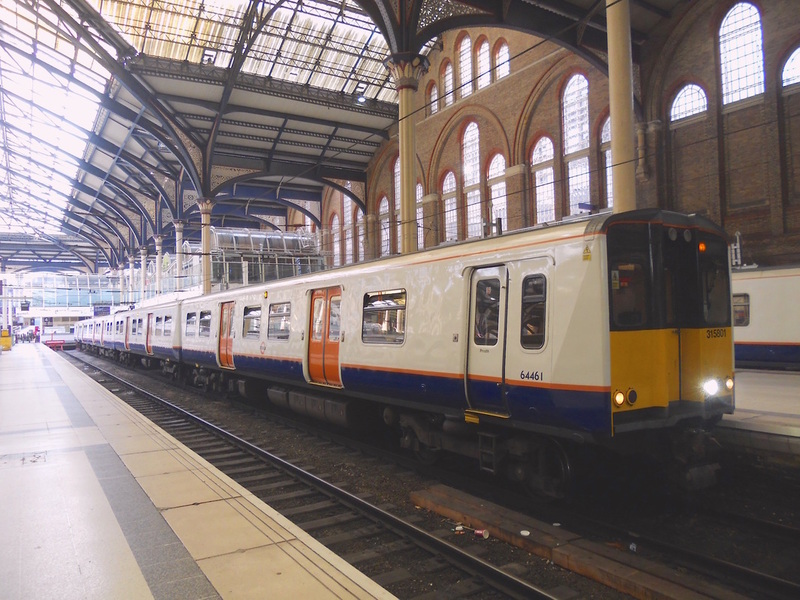 315801 at London Liverpool Street. (c) Peter Skuce. 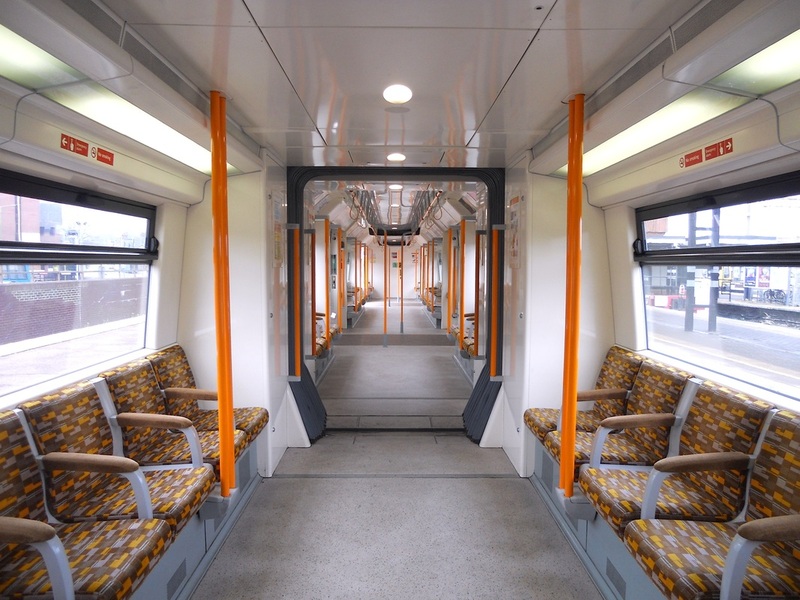 Class 315 No. 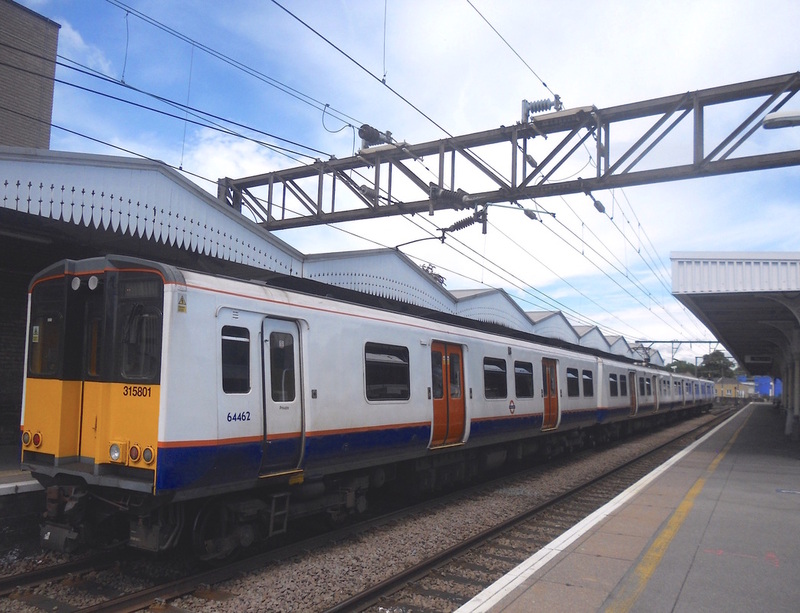 315804 at Hackney Downs. (c) Peter Skuce. Class 315 No. 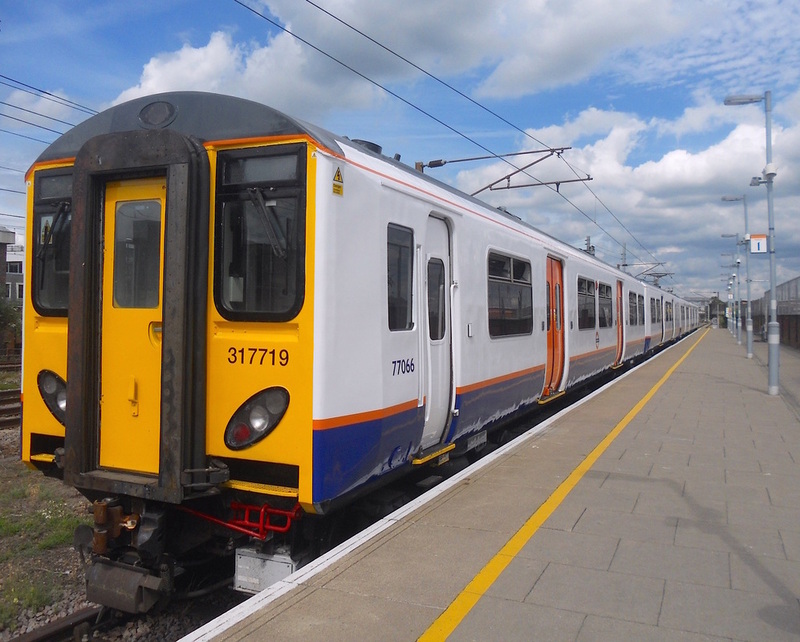 315811 at Hackney Downs. (c) Peter Skuce. Class 315 No. 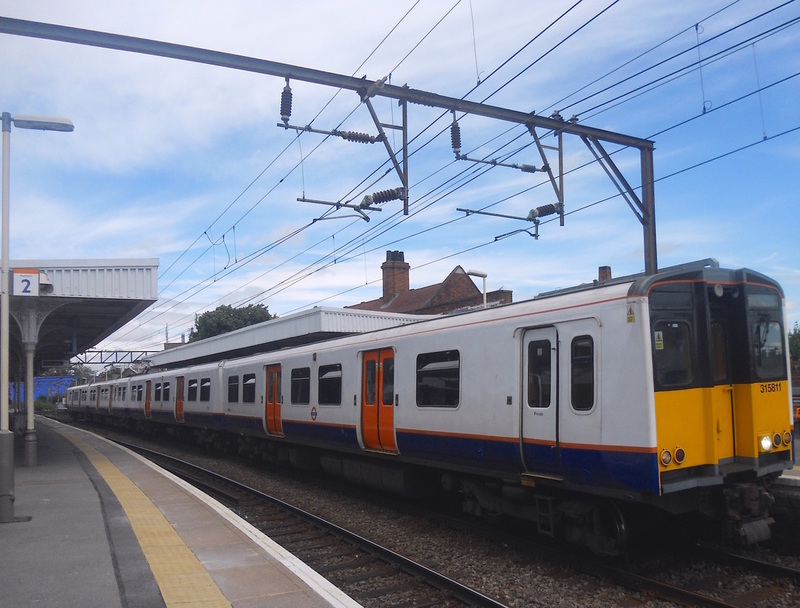 315801 at Hackney Downs. (c) Peter Skuce. Class 315 No. 315805 at Hackney Downs. (c) Peter Skuce. Class 315 No. 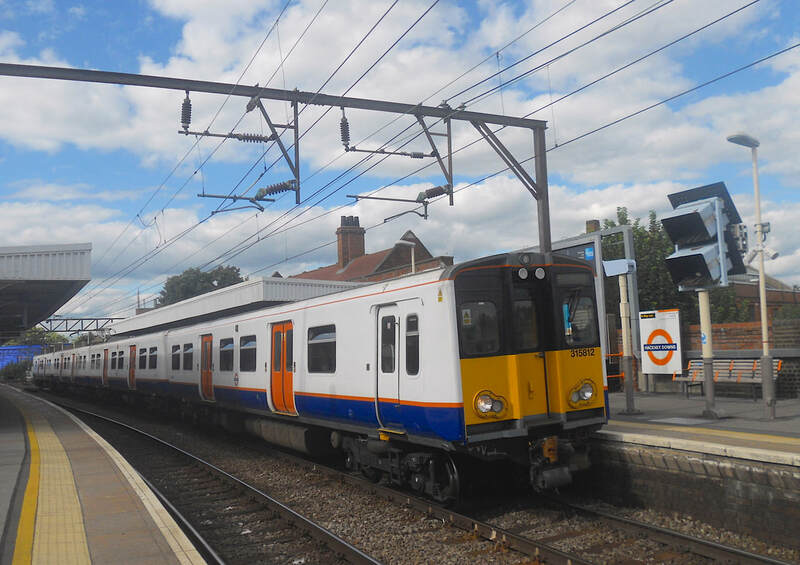 315812 at Hackney Downs. (c) Peter Skuce. Class 315 No. 315806 at Hackney Downs. (c) Peter Skuce. 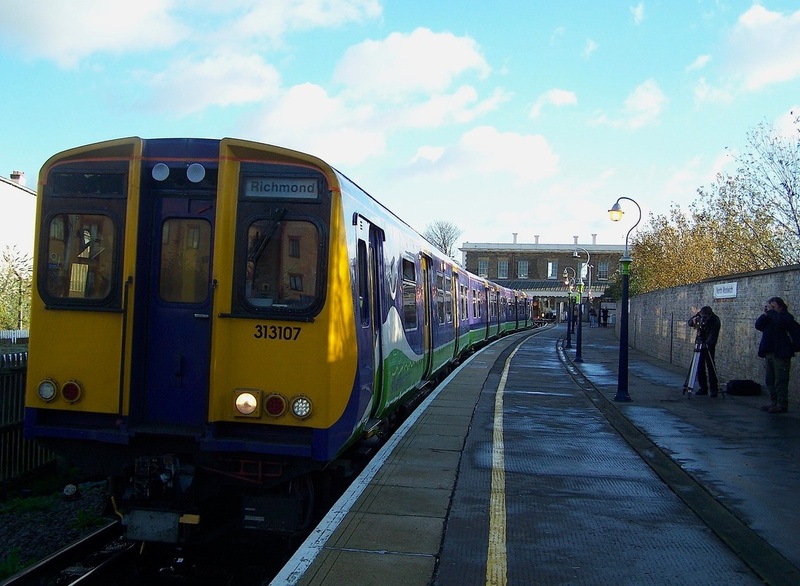 Class 315 No. 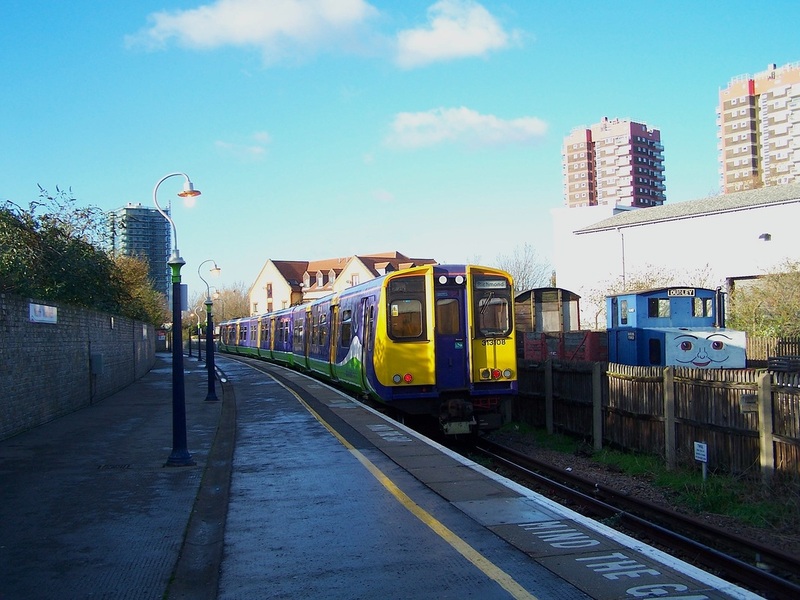 315808 at Hackney Downs. (c) Peter Skuce. the side panels and wall ends plus installed new window frames. 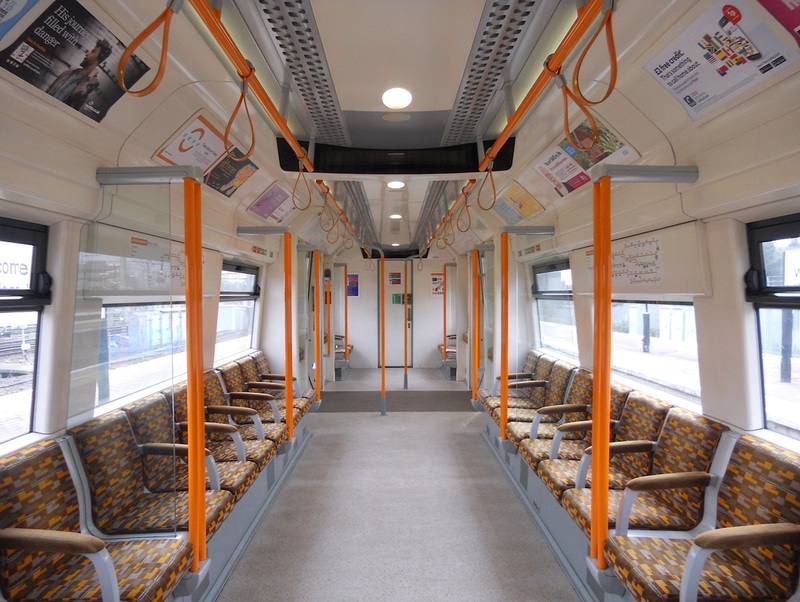 Information Displays and changed the inter connecting door handles over plus painted the luggage rack tips red. 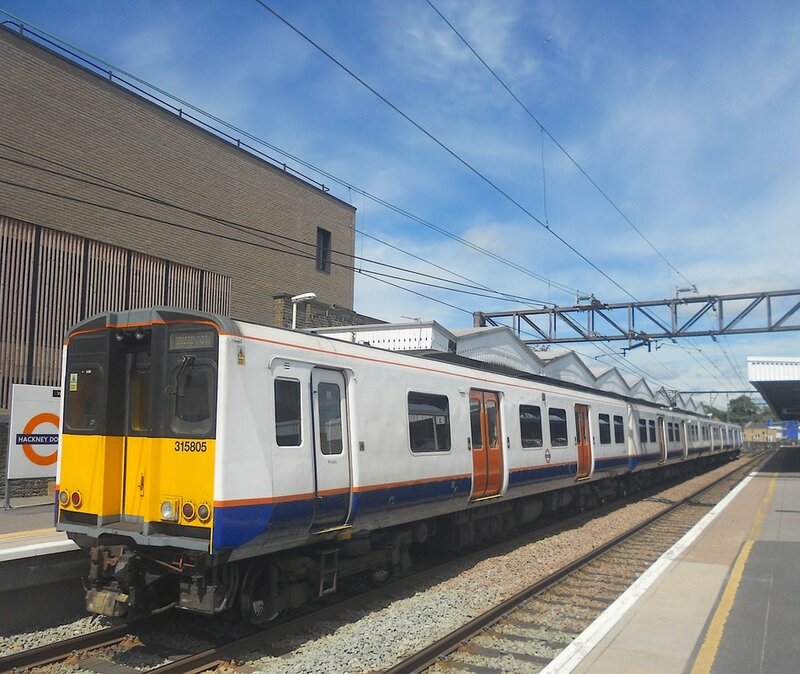 As the TfL Rail Class 315 work London Liverpool Street - Romford - Shenfield route, which will become part of Crossrail soon. 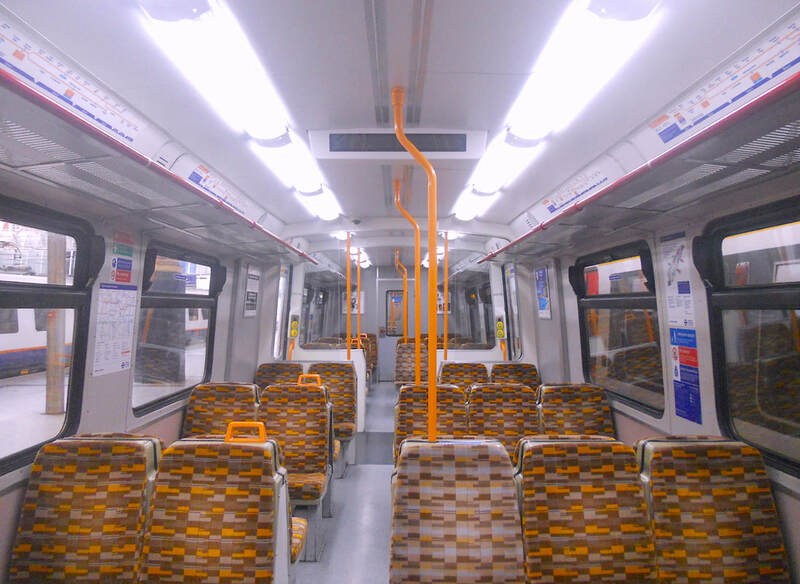 Class 317/7 No. 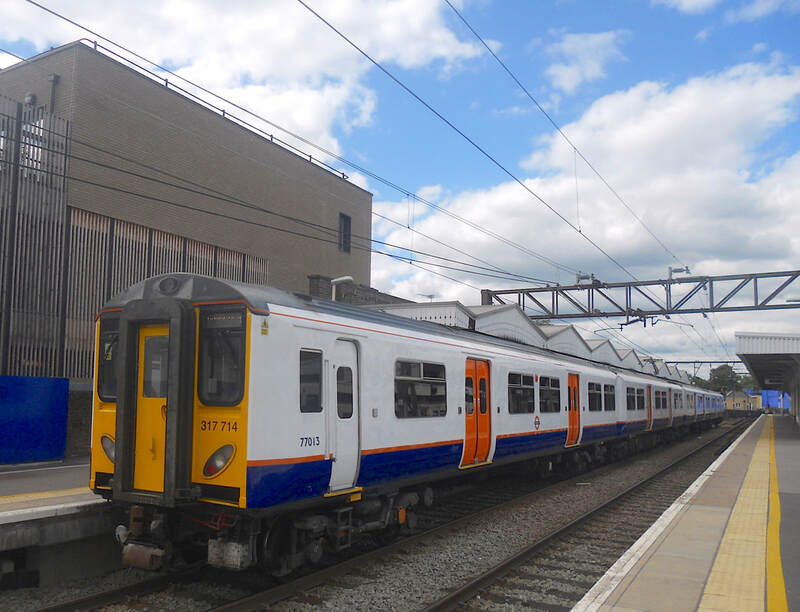 317709 at Hackney Downs. (c) Peter Skuce. 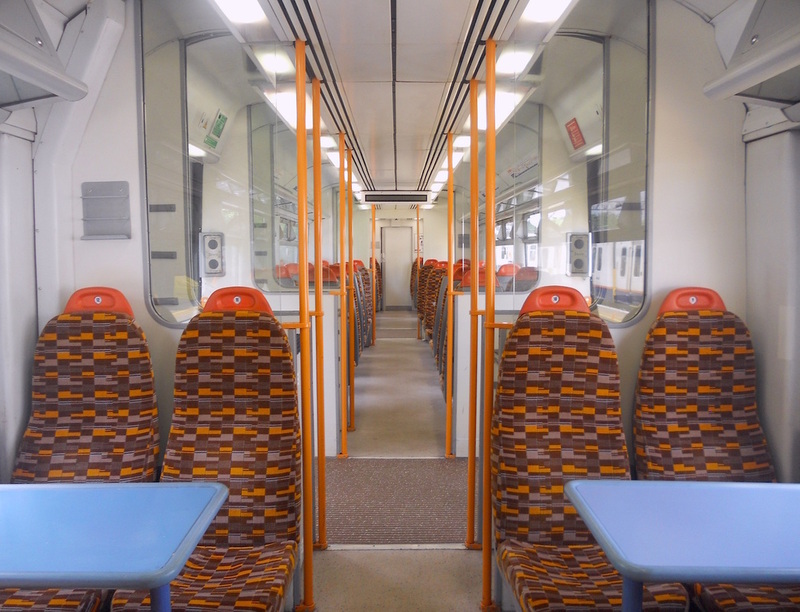 Class 317/7 No. 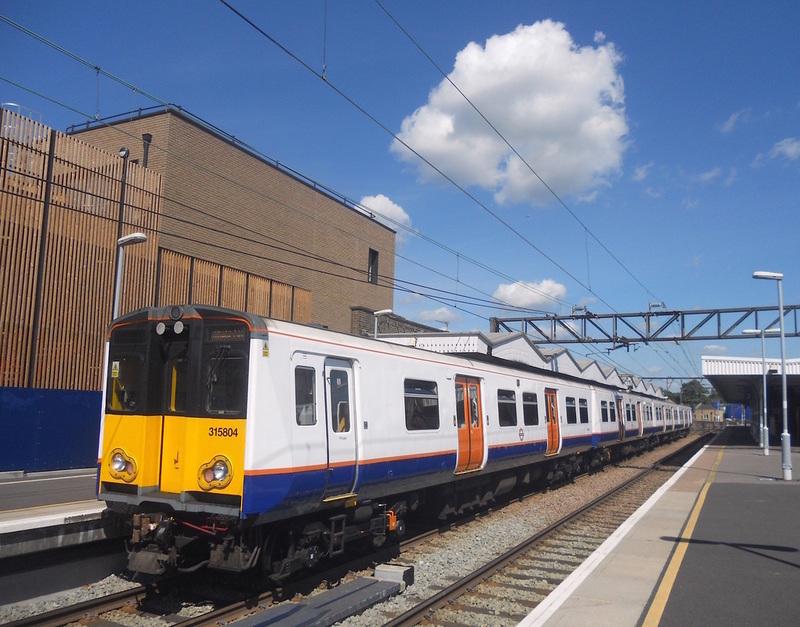 317714 at Hackney Downs. (c) Peter Skuce. 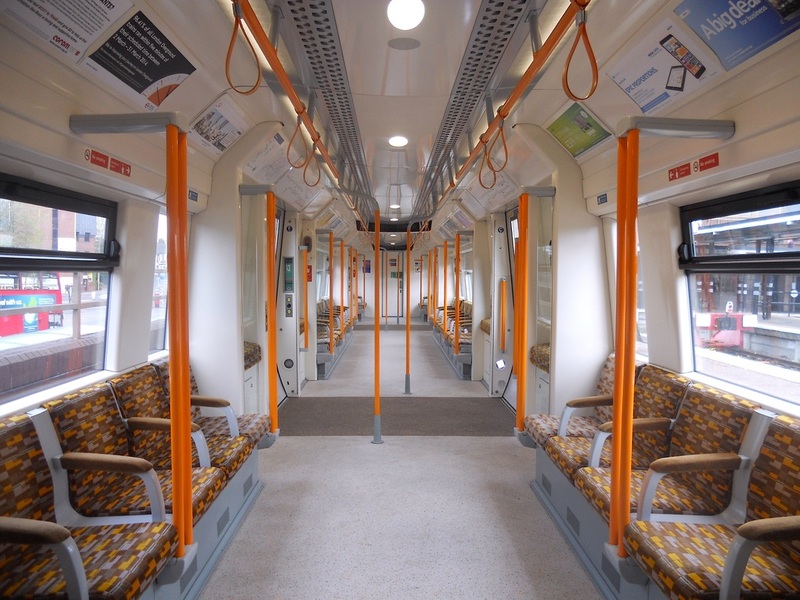 The refurbished interior of a Class 317/7 EMU train. (c) Peter Skuce. 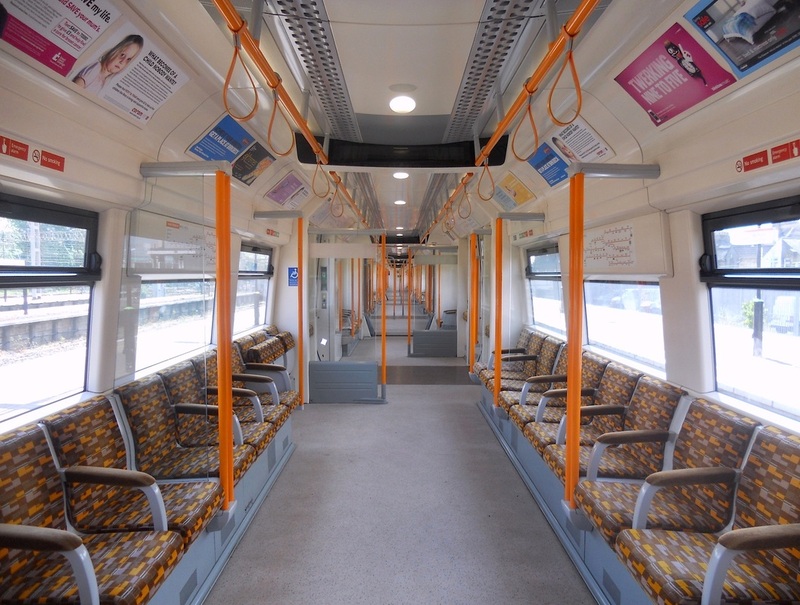 Refurbished London Overground Class 317/7 No. 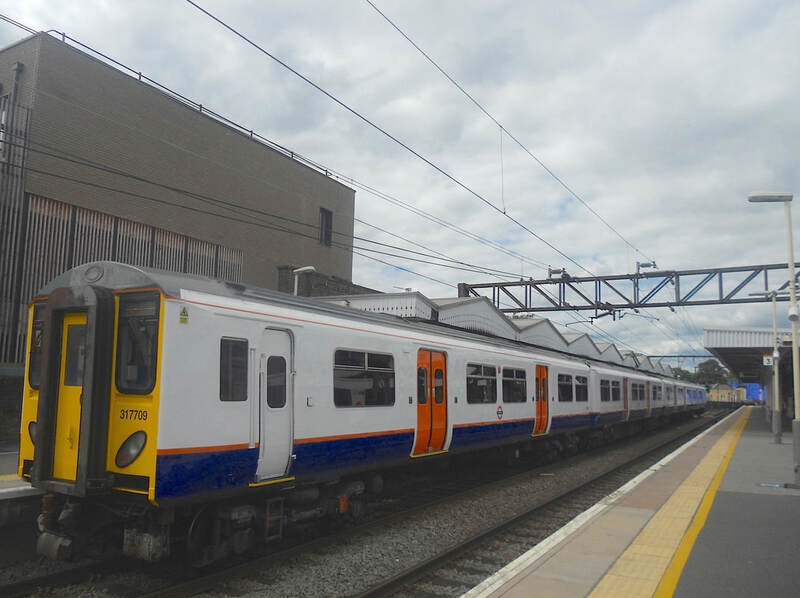 317719 at Romford. (c) Peter Skuce. 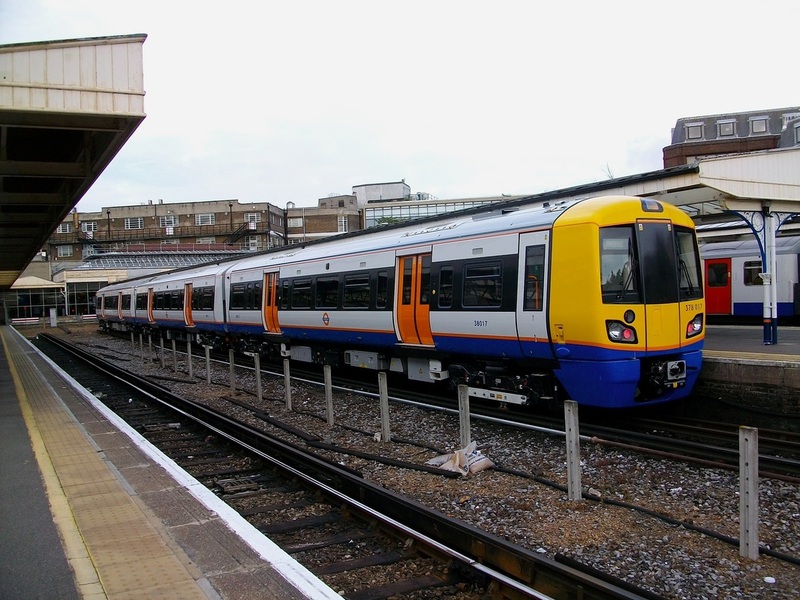 The franchises prior to the creation of the 'London Overground' network are also listed. 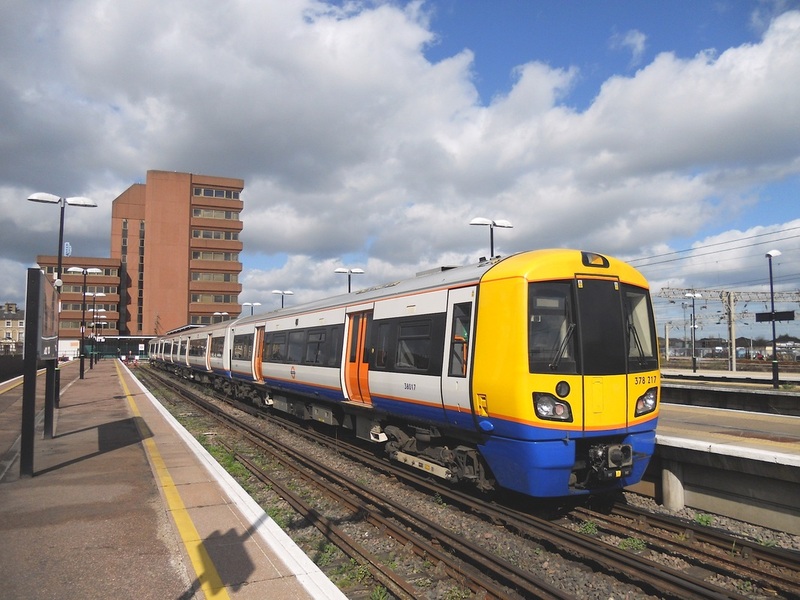 The franchises prior to the creation of the 'London Overground' network is also listed below.